Traverse City Real Estate Sales: The Numbers Are In! It should be no surprise that real estate sales statistics were high for Traverse City in 2017! 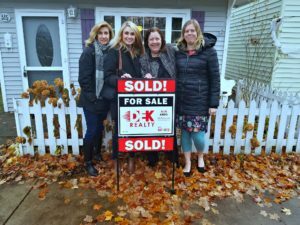 It was a great year for DEK Realty both in the Traverse City area as well as Antrim County. However, just like in Antrim County, sales were down from 2016. Despite this, sale prices increased and days on the market decreased from 2016 to 2017. While there were about the same number of houses listed in Traverse in 2016 and 2017, only 68% of the houses listed in 2017 were sold. This number is down from the 72% of Traverse City listings which sold in 2016. The average list price in Traverse City was $279,925 in 2016, but increased to $311,035 in 2017. Over both years, the sale price to list price ratio has remained steady at 97%. You are not likely to get the house you want in this market with a lowball offer! Buyers are certainly moving faster to purchase the homes they want! The average days on the market in Traverse City has decreased from 121 to just 100 days. What About Living Outside of Town? Due to the cost of housing in the area, many homebuyers are choosing to look for houses outside of Traverse City proper. Interlochen, for example, is just a short drive from Traverse City and offers many of the same benefits with significantly cheaper housing. While there were only 141 houses listed for sale in Interlochen in 2017, 124 of them sold with an average sale price of $196,156. Many other areas such as Kalkaska and Kingsley offer more affordable housing in exchange for a short commute to town. The Traverse City market is still strong and it is a great time to buy or sell! You can search for current area listings here or contact us at dekrealty@gmail.com for more information about buying or selling your home in northern Michigan.